Last year, after a long search, we managed to source some top notch true Sevruga just in time for Christmas. This year, we have managed to secure a slightly greater allocation from the same producer. This comes from the Stellatus Sturgeon – true Sevruga. 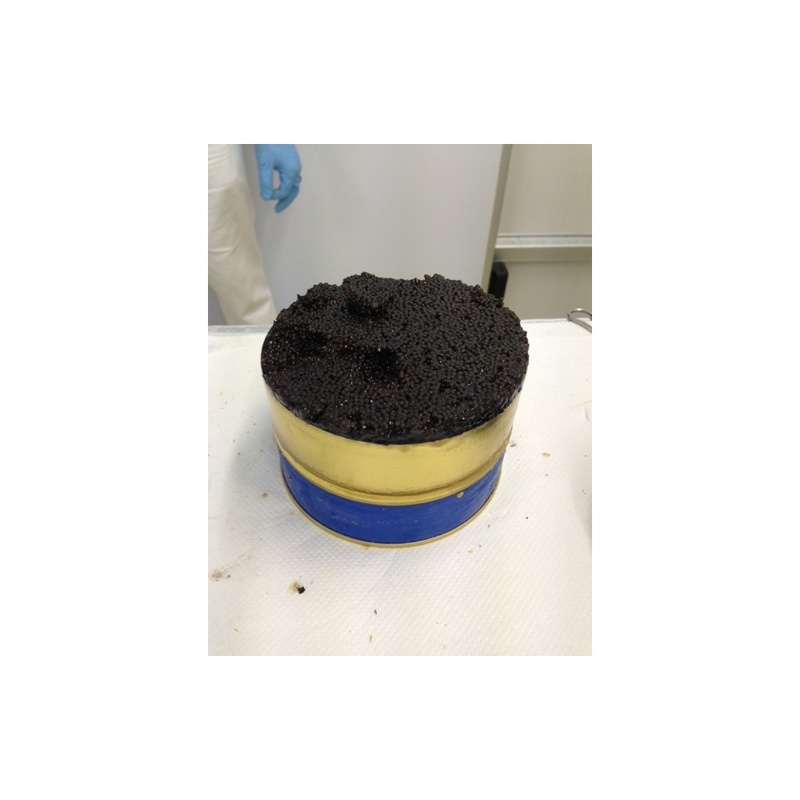 Storage: Please note that all caviar products should be refrigerated upon receipt. Once opened, consume within 48 hours. Shelf Life: 2 months refrigerated: can be stored at 0 - 4c but even better stored at minus 2c-0c. 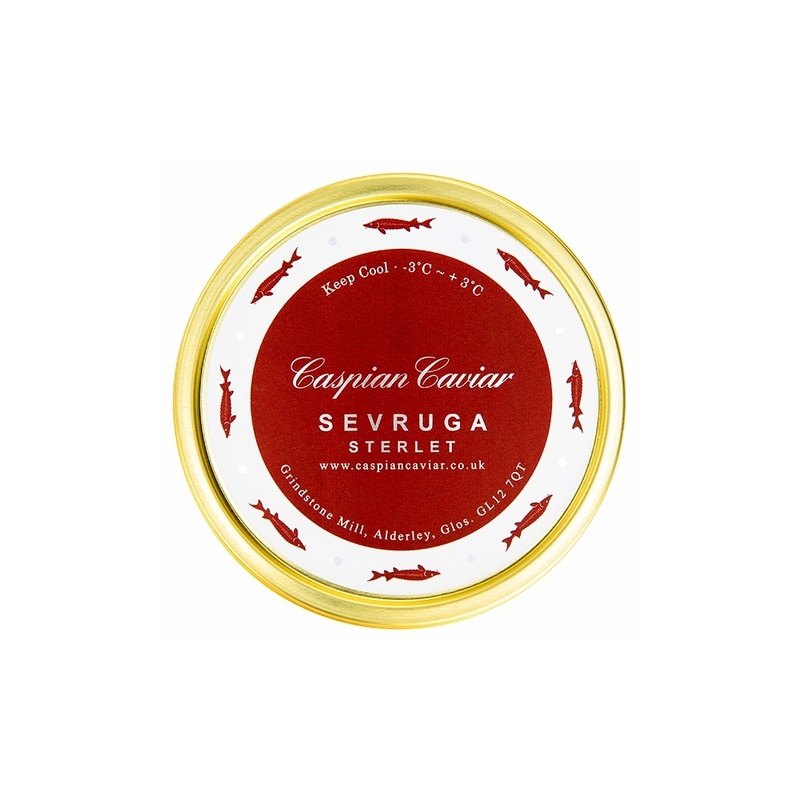 Sevruga Caviar has a much smaller egg than the mighty Beluga Caviar, but what it lacks in egg size, it makes up for in flavour. It is often described as the “connoisseur’s caviar” due to its stronger flavour. This is a punchy example which does not do subtle nuances. It grabs your taste buds and gives them a good, caviar flavoured, slap. Try it along side one of our other caviars and you will really taste the difference. It is ideal for serving with the traditional accompaniments and for canapes as a small quantity gives a flavour that stands up well with other ingredients.